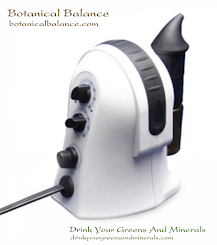 If you are serious about "going green", then Liquid Chlorophyll should be at the top of your check list. Nothing could be more healthy and green than chlorophyll. Its benefits are so important it begs to be a staple part of your diet. Perhaps you remember it from Biology class in high school. This means its a powerful and potent source of energy. As it is the life of all plants, so it is a terrific blood builder identical to our hemoglobin with exception to the center atom. 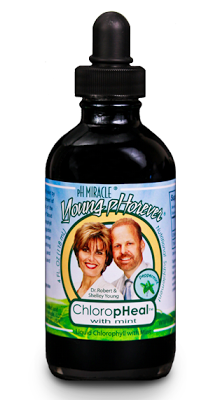 Drinking Liquid Chlorophyll is like having a blood transfusion. You are building your blood and purifying it. You will feel the revitalizing difference. Dr. Robert Young's research indicates as you increases your consumption of chlorophyll from green foods and green drinks the quality and quantity of the red blood cells improve. This can be noted on a CBC medical test as the red blood cell count increases and the hemoglobin increases in the healthy ranges. 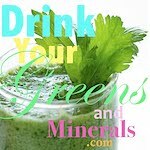 This makes liquid chlorophyll one of the most efficient ways to get your greens and build your blood. 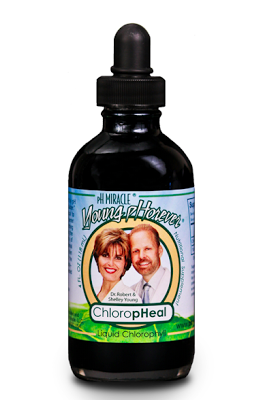 Liquid chlorophyll can be added to any water or green drink to enhance the blood building benefits. Science also reveals the many wonderful benefits chlorophyll has on our bodies. stimulating red blood cells to improve oxygen supply. How to use Liquid Chlorophyll? 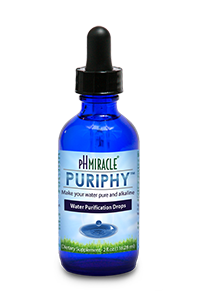 Liquid Chlorophyll can be added to water, smoothies, or pH Miracle Greens to improve the concentration of this powerful blood builder. A great way to transition a new person to the “green” lifestyle.